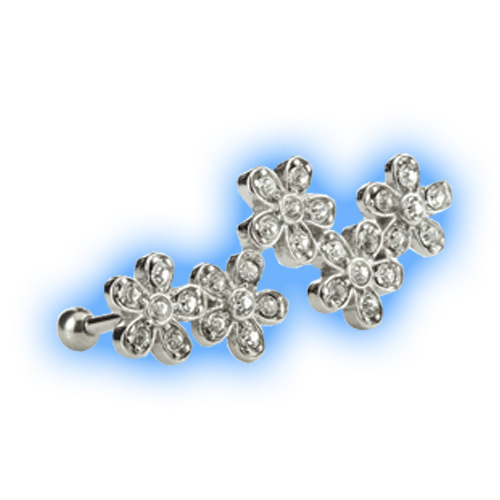 This is a stunning floral themed micro barbell made out of 316L surgical steel. The barbell itself is externally threaded and has a removable 3mm ball at the back and the daisies at the front are fixed. The charm measures 8mm across (with each of the flowers having an 8mm diameter) and is approximately 30mm long. It is available in a choice of 3 gem colours - clear, aqua and rose, all of which look stunning in body piercings.